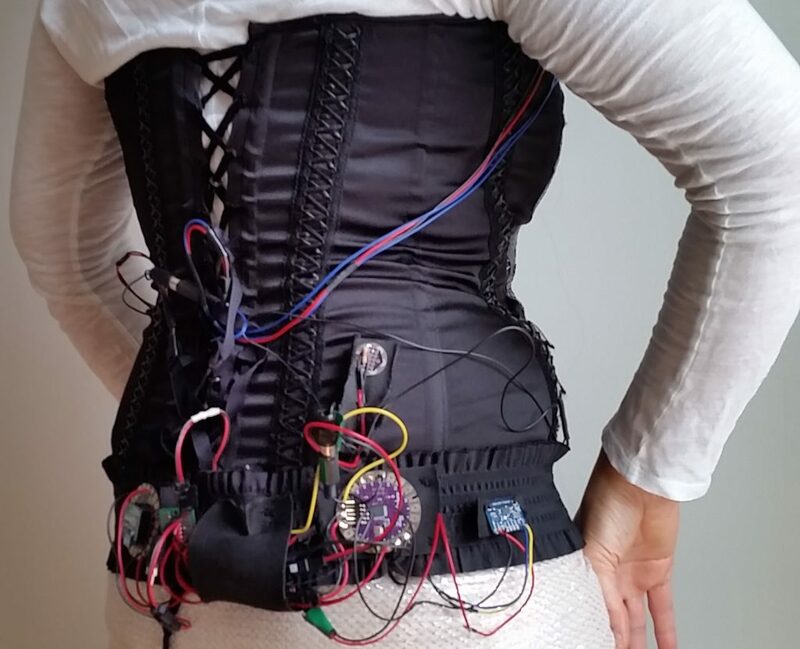 The Remote electroAcoustic Kinesthetic Sensing (RAKS) System is a wireless modular sensor interface designed specifically for the movement vocabulary of belly dance. It was developed with composer and belly dancer Aurie Hsu. Aurie Hsu and Steven Kemper, “Kinesonic Composition as Choreographed Sound: Composing Gesture in Sensor-Based Music” in Proceedings of the 2015 International Computer Music Conference (University of North Texas, Denton, TX, 2015).